The cornerstone of the practical usability of an electric vehicle always related to its range per charge. In essence, beyond the car mechanism efficiency, it is the battery technology that is poised to play a bigger role in the future of low emission EVs. And that is exactly where Japanese multinational conglomerate Toshiba is headed towards, with their next fast-charging battery touted to enhance EV drive ranges by a whopping three times. This is complemented by fast charging times encompassing just minutes for a ultra-rapid cycle. The battery in question here is the next-generation iteration of Toshiba’s renowned SCiB (Super Charge ion Battery). Back in 2007, the current generation SCiB’s claim to fame entailed its incredible capacity to be charged to 90 percent in just five minutes. This fascinating threshold of efficiency was accompanied by low maintenance (like its advertised lifetime of over 10 years) and high safety features, thus heralding its inclusion into prominent EV models like Mitsubishi’s i MiEV and Honda’s Fit EV. However, the new generation of SCiB does one better by replacing its anode material (comprising lithium titanium oxide) to the more effective titanium niobium oxide. This scope is derived from the proprietary crystal structure of the latter (successfully arranged by Toshiba scientists) that allows it to store lithium ions in a more efficacious manner. Simply put, the arrangement of the new anode material has potentially doubled the energy density of the battery. 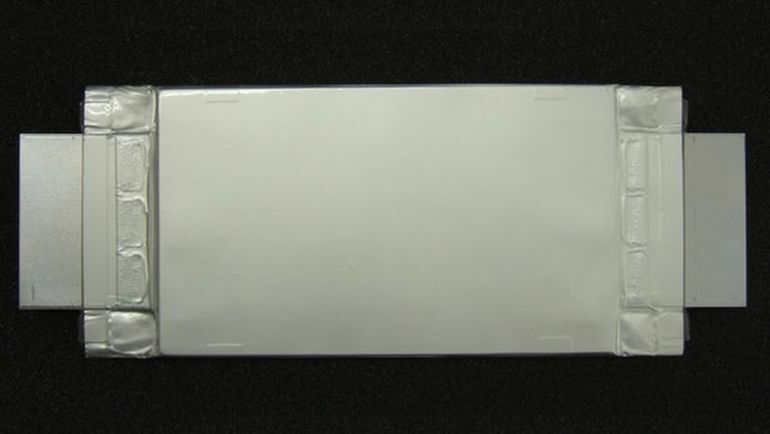 The testing phase encompassing a 50-Ah version of the new battery showed that the specimen successfully retained 90 percent of its charge even after 5,000 charge cycles. 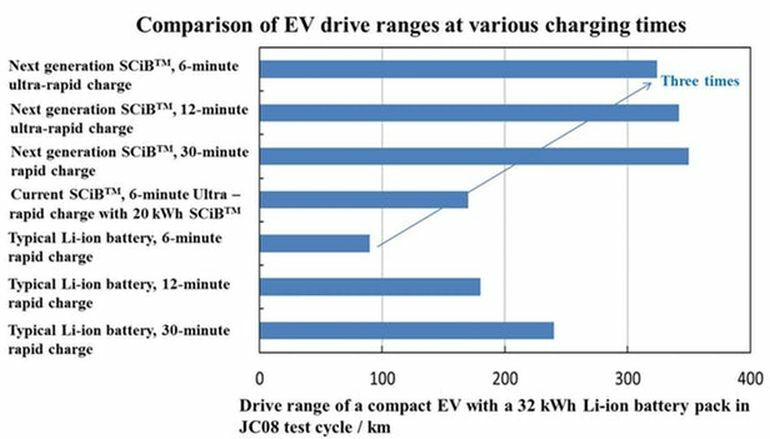 When translated to driving figures, the integrated battery can ‘fuel’ an EV for a range of 320 km (186 miles) with just a six minutes of ultra-rapid charging. This is almost three-times the single charge distance offered by typical Li-ion car battery installations, while also exhibiting the advantages of increased lifetime and safety factors. We are very excited by the potential of the new titanium niobium oxide anode and the next-generation SCiBT. Rather than an incremental improvement, this is a game-changing advance that will make a significant difference to the range and performance of EV. We will continue to improve the battery’s performance and aim to put the next-generation SCiBTM into practical application in the fiscal year 2019.